LAKE CHEDDAR. 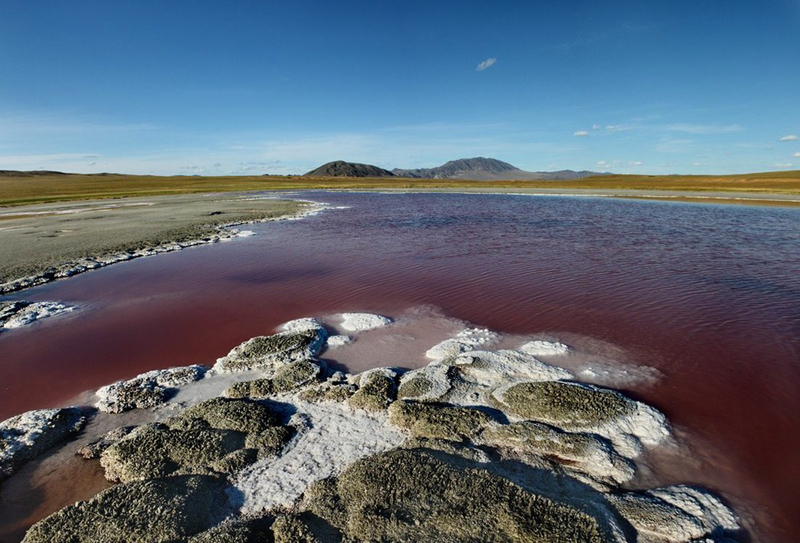 Located in the south of Tuva Basin, this lake lies on the border of Russia and Mongolia in a drainless basin flanked by Jurassic-era sand and clay rocks. The basin is surrounded by a rolling treeless plain. Since 1932, the lake has been the site of a resort. The main curative delights are brine and mud.